Anyone leaving custody who has served two days or more is now required to serve a minimum of 12 months under supervision in the community. As a result, the number of people recalled to custody following their release has increased dramatically. 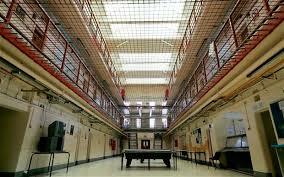 Use of Suspended sentences has increased by 68% in the last decade. This is unsurprising given removal of the former requirement that imprisonment could be suspended only exceptionally. An important point is that use of community sentences has fallen by 50% since 2006 and yet, according to the briefing, community sentences are more effective than prison sentences of less than 12 months at reducing re-offending. 59% of those sentenced to under 12 months will re-offend within a year of release. Safety in prisons has deteriorated. 344 deaths in prison in the year to March 2017 and one-third of those were self-inflicted. Of that one-third, 70% had mental health needs. Staff numbers have been reduced but the prison population has not. Please read the full report - it is very informative. Other reports have also been critical of aspects of sentences. The decline in use of community sentences is one of feature of particular concern. The reasons for this are explored in a most useful study by Crest Advisory - Where did it all go wrong? A study into the use of Community Sentences in England and Wales - 25th April 2017. The Crest report is discussed further on the Russell Webster blog - What went wrong with Community sentences? The Chief Inspector of Probation has been critical of Rehabilitation Activity Requirements - see this press release and the Inspector's report - The Implementation and Delivery of Activity Requirements - February 2017. Rehabilitation activity requirements (RARs), a central feature of many community sentences, are not being delivered properly, said Dame Glenys Stacey, HM Chief Inspector of Probation. These flexible provisions in community sentences enable probation providers to do whatever they think will work best with individuals to reduce their reoffending, but all too often, too little is actually being done. The Offender Management Act 2014 introduced supervision requirements for those released from prison sentences of under 12 months. (The Act is summarised HERE). These arrangements are also the subject of criticism - see the October 2016 Justice Inspectorates report - An inspection of through the gate Resettlement Services for Short-Term prisoners. This report is also discussed on the Russell Webster blog - HERE. The evidence points massively to a view that short term prison sentences are not effective in terms of preventing re-offending and the system is failing to deliver satisfactory performance in its role of resettling such offenders. There is also reduced confidence in community sentences arising from poor delivery of rehabilitation requirements. Is Blaming the judiciary - an easy option? It is easy to blame sentencers (Judges and Magistrates) for imposing short term sentences of imprisonment but, for all the obvious imperfections of such sentences, the law permits their use. As provided by section 152 of the Criminal Justice Act 2003, a court must not pass a custodial sentence unless it is of the opinion that the offence, or the combination of the offence and one or more offences associated with it, was so serious that neither a fine alone nor a community sentence can be justified for the offence. Sentencing Guidelines exist for most common offences and sentencers are required to follow them unless the court is satisfied that it would be contrary to the interests of justice to do so - Coroners and Justice Act 2009 section 125. The Sentencing Council deals with some Sentencing Myths - and one them is about the phrase "walked free from court" when, for instance, a defendant has been given a suspended sentence. Such a sentence will these days usually be linked to specified rehabilitation requirements breach of which could result in committal to prison. Do criminals who aren’t jailed just walk free from court? "The phrase “walk free from court” often appears in media reports about situations where someone is found guilty but is not sent to prison. The fact is that these offenders will face many restrictions on their freedom. The only time someone could genuinely “walk free” from court is when they are either acquitted – that is, when they are found not guilty – or when they receive an unconditional discharge. If they are given a community sentence, they have to comply with up to 12 restrictions on them such as doing unpaid work for up to 300 hours, keeping to a curfew, a ban from going to particular places or doing certain activities or supervision by the Probation Service. A suspended sentence, which gives an offender the chance to mend their ways, comes with similar restrictions and, if they commit another crime or don’t keep to the requirements, they can be sent to prison." But what is the re-offending rate within 12 months of completion of a Community Penalty? And what percentage of offenders complete that community penalty? A good question. These links may answer this partially.